This post is dedicated to Claudia at cloud9yoga, who popped on over and liked my video. 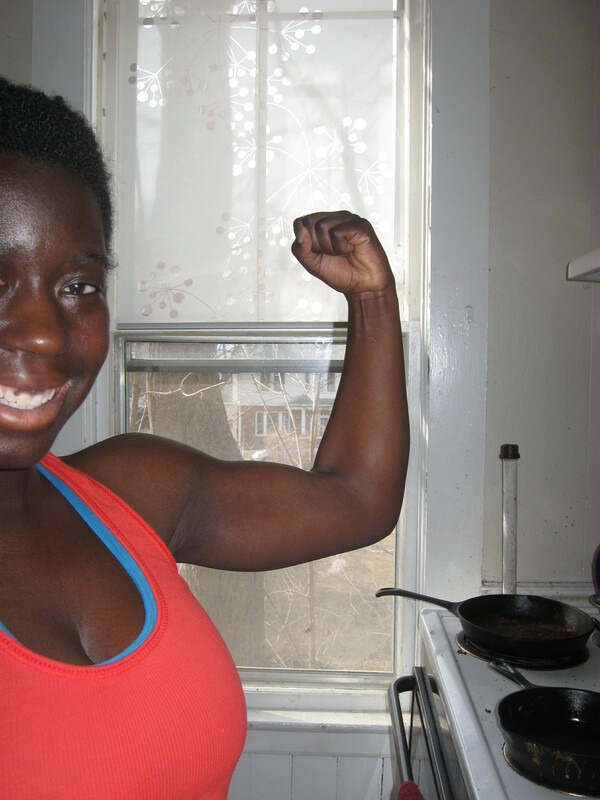 She had a post on bicep growth, and since I cannot leave pics in her comments, I thought this was the next best thing. Ashtanga has most definitely blown up my biceps, shoulders, and pectorals; I can even make my chest move like guys. Unfortunately, this is a move that the general public will never see, but I swear I can do it! 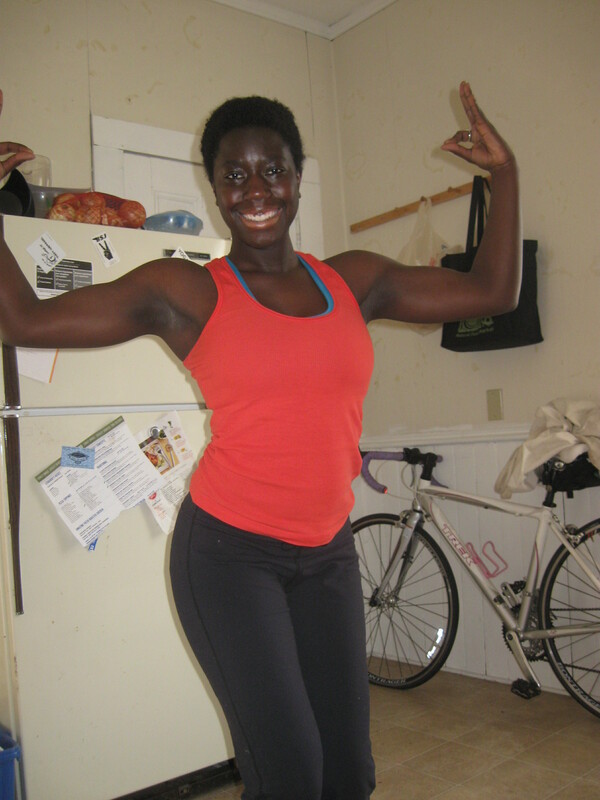 I admit, my lower body doesn’t get much muscle building love, but I admire a lady with fierce arms. Just finished teaching an ashtanga-inspired flow class. Yoga is a big part of my life. I hope yoga continues to be a big part of my life. 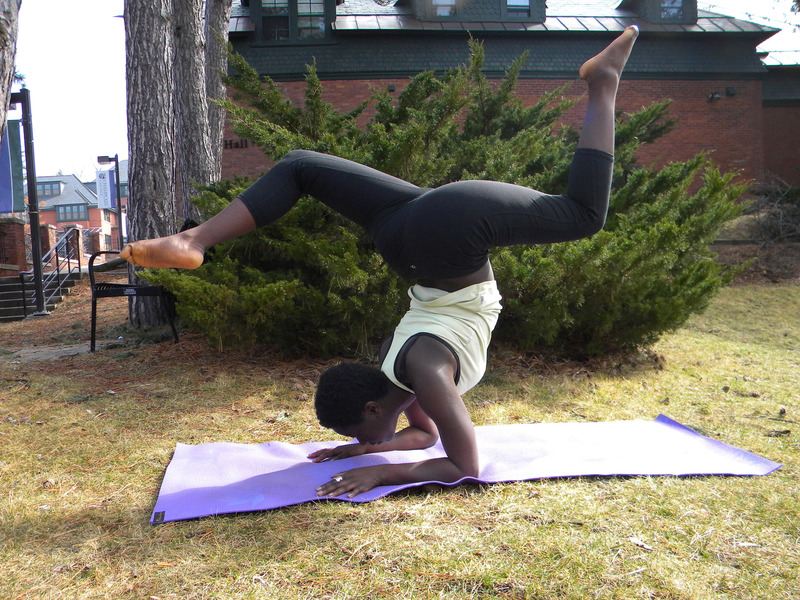 Thus, it wouldn’t be fair for me to not include yoga on this blog. 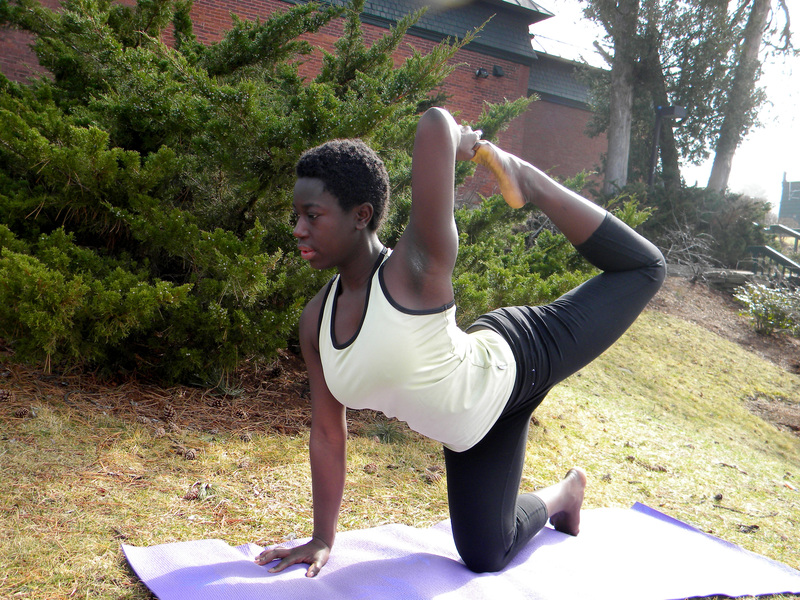 Practicing yoga was what helped me start eating better. Learning difficult yoga postures is what taught me patience. One: Ignore the fact that it looks like I’m wearing zero bottoms. Trust me: I am! Two: Ignore the mess. I’m a poet. The chaotic workplace is what fuels me. Three: I’m training to be a licensed yoga teacher. This video is a guide, not the word of the almighty. Now, I’m not expecting you to go call your doctor and slap down a $20 co-pay to make sure you’re fit for yoga, but use common sense. Let’s cut to the chase!!! Here’s a video of me narrating Sun Salutation A with various modifications for all levels. This the breath count for people who are not as familiar. When you are first starting out it’s common to feel like you’re exhaling when the teacher is telling you to inhale. Don’t worry. The most important part is to just breatheeeeee. Over time, when you become more comfortable, your breath will start synching up with your teacher’s breath. Inhale arms above your head touch at the top. You can look straight ahead or up at your hands. I’m currently working through a neck irritation, so I’m trying not to crane my neck to much. Inhale straighten your arms and lengthen your back to prepare. Exhale (a big one) walk or hop back, go to plank, lower down through Chaturanga dandasana. “Active Break” : Breathe, breathe, breathe, breathe. In Ashtanga we do a 5 count. Do whatever you want. Inhale raiiiiiiiise up. Touch at the top.